Rapid Home Liquidation We Buy Philly & Jersey Houses Fast For Cash! We Buy Houses Anywhere In Philly, PA And The Tri-State Area In As-Is Condition. We’re Ready To Give You A Fair Offer For Your House Today. Point Breeze, Girard Estate, Kensington, University City…among others. Basically, we buy homes anywhere in the city of Philadelphia and within any local neighborhood so even if you don’t see yours listed please give us a call or text at (215) 882-9828 and someone from our team will be more than happy to assist you. Rapid Home Liquidation specializes in sticky real estate situations and junky houses that nobody else will take. It doesn’t matter if you have code violations, tax liens, or other problems. Our team has worked with hundreds of local homeowners in an effort to help revitalize this city and rehabilitate our crumbling infrastructure while providing jobs to local contractors in the process. We are local Philadelphia House Flippers and Cash Home Buyers who can close fast because we have private funds and we are actively looking for new properties to rehab and relist back on the market with our Philadelphia buy, fix, and resell business model. Basically, if you have an unwanted, distressed home in Philadelphia and are looking for cash buyers… we’d like to make you an immediate offer and send someone out from our team to analyze the repairs. 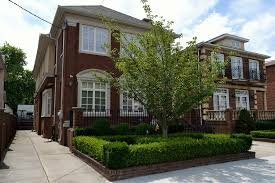 Are You Looking For A Reliable We Buy Houses Company In Philadelphia? We will be able to know if we can help you after speaking with you for only a few minutes. Our sales team has professional training and we are able to quickly analyze situations to see what action steps we can take to assist. Selling through agents can oftentimes take months at a time and cost thousands of dollars in repairs, holding costs, listing fees, and commissions. Heck, even some investors are shady and will sign a contract to buy your Philadelphia house for cash and then not follow through or back out of the deal. We work differently at Rapid Home Liquidation. We take it very seriously when you choose to do business with us out of all of the other available options out there in the marketplace…and put executing for our clients at the very top of our list of priorities. Our programs and services are completely transparent and we have no problem revealing everything about our processes to our clients so they can make an informed decision with all of the facts and information in their corner. We pay cash for Philly houses as-is and we can close fast without any delays! Stop procrastinating and debating about what to do and give someone who knows their stuff an ability to shine. Give us a call or text right now at (215) 882-9828 to speak with one of our live customer service agents who will be able to provide you with an instant cash offer directly over the phone. All we need is some basic details about your situation and your property and we can have a sales contract on your desk within minutes. Our team specializes in fast cash closings in Philly and we enable you to Sell Your Philly Home Cash in just 10 business days without having to pay any hidden closing costs or fees. Our goal is to streamline the sales process and get you out from under the property that’s stressing you out… while still paying a fast, fair, and honest price for your house. We Buy Houses in Philadelphia in One Week! We help local Philadelphia homeowners by purchasing their homes for cash in 10 days without them having to pay any fees. Our company can handle any type of complicated real estate situation, even foreclosures and tax liens. Our team can tackle bad tenants, extensive repairs, foundation damages, water bills, tax bills, code violations, liens, and other title issues. We buy houses in Philadelphia and the neighboring cities and suburbs in Philadelphia and the Delaware Valley and pay a reasonable cash price, fast. Sometimes, it’s just time to sell and get out from under that burdensome property that has been stressing you out mentally and emotionally for the past several months. If you are ready to call in a professional who knows what they are doing and has the contacts and funding required to buy Philly houses fast then please get in touch with us immediately by filling out the form at the top of the page or by clicking on the live chat box to speak with someone from our sales team right away about selling your Philly home for cash. We buy houses in Jersey and Philly quickly for cash in as little as seven days. You won't pay any commissions or listing fees, repair costs, or closing costs. Sell your house fast in Philly today.